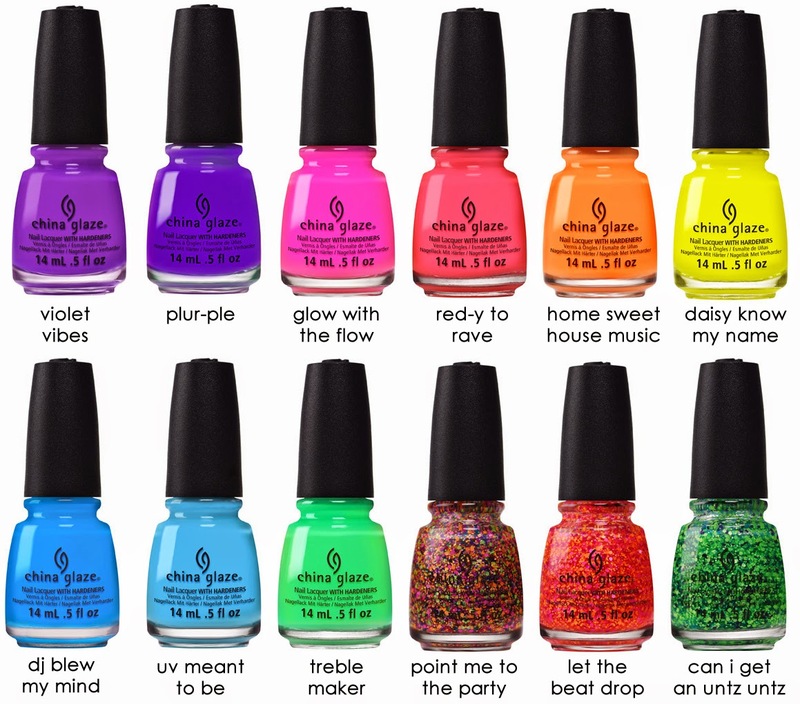 China Glaze just announced its summer 2015 release. I thought I'd seen enough of neons, but I'm pretty psyched for this set. Inspired by electronic music festivals, the Electric Nights Collection included nine neons and three "first-of-its-kind" splatter paint effect top coats. 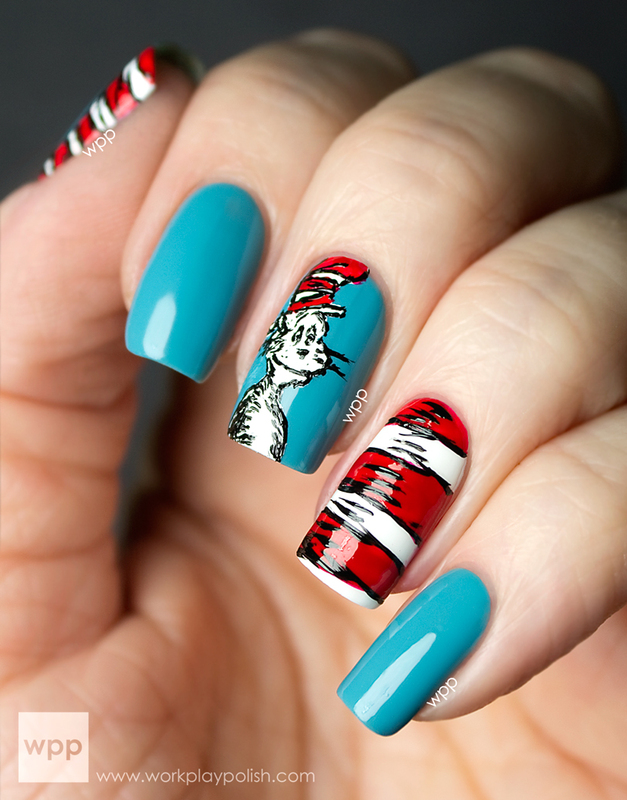 Chalkboard Nails has some fab swatches up already. Four of these will also release as Gelaze formulations: Red-y to Rave, Home Sweet House Music, Plur-Ple, and Glow with the Flow. 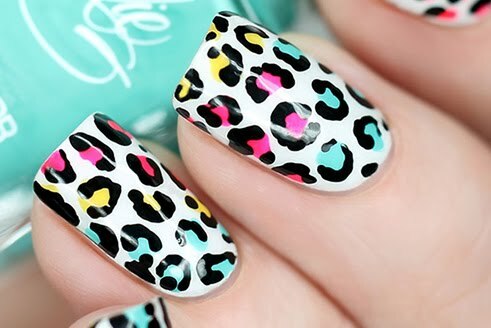 I hope to feature these in nail art or swatches soon. What do you think? Will you be picking these up? 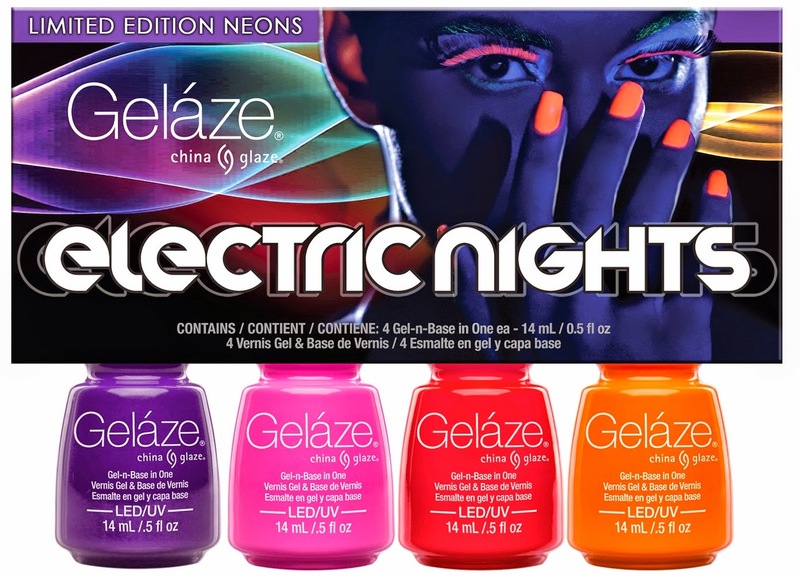 Wave your nails in the air with China Glaze® Electric Nights April 2015 at fine beauty supply stores and salons nationwide including Ulta and Sally Beauty Supply. MSRP $7.50. For more information, please visit www.chinaglaze.comor follow China Glaze® on Facebook (@ChinaGlaze), Instagram (@ChinaGlazeOfficial), Twitter (@ChinaGlaze) and Pinterest (pinterest.com/chinaglaze).